"My father, Jim Kouba, was only a resident for a short time. During that time, he was made to feel safe, taken care of and above all a human being with feelings.....Please accept my family's undying gratitude for all your effort in caring for my Mom & Dad." 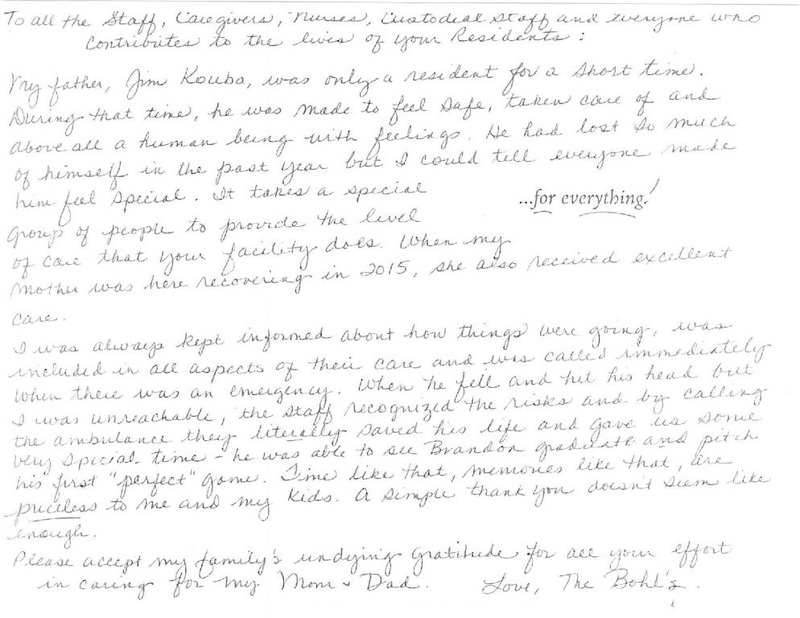 Residents and their loved ones appreciate the home town care from our conscientious staff.